What Dog Breed Fits My Personality? Man's best friend comes in so many shapes and sizes that it's difficult to believe that all dogs have a single canine ancestor. From the hairless to the hairiest, people certainly seem to have a love affair with dogs. 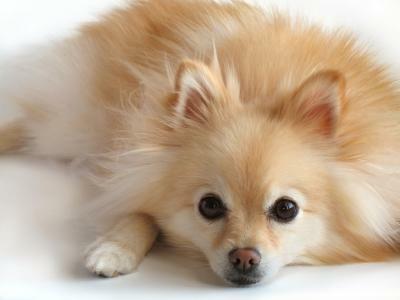 Find out which dog breed suits you best. While a lot of the early evolution of dog breeds is a result of the environments dogs migrated to and through, most of today's modern breeds bear the touch of man's artistic brush. Humans began selecting dogs with the traits they desired most and began breeding these dogs until physical similarities began to emerge. Ever since then, selection has been refined over and over again until, ultimately, you see each breed as it exists today. 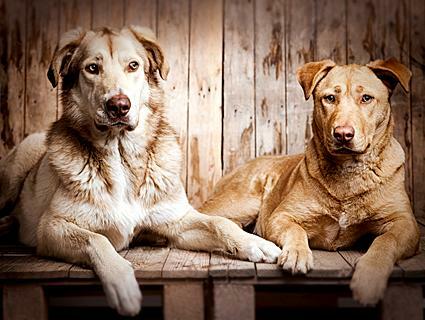 The dog breeds profiled in this category offer an overview of each breed's physical attributes and general character, but keep in mind, every dog is an individual and none fit the mold exactly. Purpose is the biggest factor in the way dog breeds have developed over the centuries. Just looking at the different subdivisions of dog breeds show how diverse they really are. Working breeds - Learn how the Great Dane was originally bred to be hunters, or how the Saint Bernard was developed to pull carts as well as rescue traveler on treacherous mountain passes. Herding breeds - Explore some of the smartest herding breeds of all, like Border Collies and Australian Shepherds. Hound breeds - Find out which characteristics make the Basset Hound such a good tracker, or why little hunters like Beagles make such good family companions. Terrier breeds - Feisty Terriers are some of the most determined, and stubborn, breeds of all, and they never rest as long as there's a job to be done. Check out breeds like the Scottish Terrier and the Cairn, as well as a few others. Sporting breeds - Check out some of the most popular sporting breeds like Brittany and Springer Spaniels, as well as the ever popular Cocker Spaniel. Non-sporting breeds - Dogs in this group are so unique that they don't quite fit into any other group. Check out the Dalmatian, which was bred to be a coach dog, or the highly-independent Shib Inu, one of Japan's smallest hunting breeds. Toy breeds - Learn about small breeds like Shih Tzus, Pugs and Japanese Chins, whose main purpose is to cuddle, entertain and shower their human companions with love and devotion. Designer dogs are the product of select mating between two specific breeds to produce a dog that blends the best characteristics of both. Take a look at Cockapoos, Schnoodles, Chiweenies and more. If you're looking for a dog that will fit in with your family, use the information in this category to help you narrow down your list. The right dog is out there and just waiting for you.